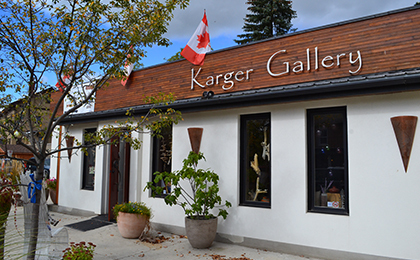 The Karger Gallery has been a fixture in Elora for more than a decade, bringing the world’s treasures to our town. Creating a unique shopping experience, they offer a modern, eclectic selection of furniture, giftware and fashions. The gallery features Canadian and international artisans working in metal, wood, glass, textiles and clay to create fine art pieces. Karger Gallery searches the world over for merchandise with environmental and ethical sources.